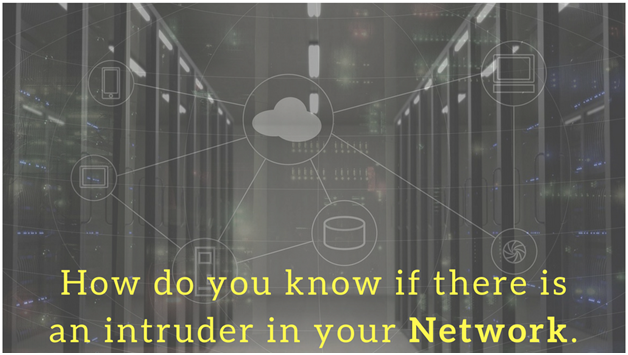 Do you know, if there is an intruder in your network! You need to believe that you are being compromised before you start helping your organization stay secure. Intruders can very well lay low in the company’s network for weeks or months before they would actually cause any damage. Let us take you through a situation- Via the system of marketing head of you company an intruder could manage to get a foothold in your company’s network. Since past 20 weeks the intruder is in the system and now is comfortable in seeing a clear picture of servers, data stores, cloud data centers, the manufacturing systems. The intruder has access to more computers now from the initial entry point of one computer. Given the position of intruder in the system, he has read many confidential information about company plans and strategy. About data of customers available at the data centers in the company as well as gained access to company’s development servers where new products are being created. Now till date, the intruder has done nothing. No threat to leak the data has been made, no threat to sell the data has been made. No threat of ransom. The organization, like many others, has no idea if there is someone already on the network and for this long. The intruder can do a lot of damage from here on- possibly siphon money from accounts receivable, manipulate the new product development until later stages, extort money for any other data access which he might have got access to? Or simply create a hostage situation, until his demands are met. A lot of damage can occur at this stage, and the company has no idea how its simple vulnerability could have caused havoc! Unfortunately, this is where most companies are at the moment. The intruders lay low inside the network for months before they start causing havoc and more companies get affected by these sorts of attacks. How do you know if such an intruder is on your company’s network? Because once the intrusion is detected, it becomes easy to ward off the intruder. Prognosis is the difficult and most crucial at the early stage of intrusion. There are various methods to do so. Red teaming exercise is one of the way to find out. The companies can also go for penetration testing thereby analyzing the company’s vulnerabilities and patching the weak spots. To go a step further companies can go for sandboxing to keep themselves safe against intrusions in a very restricted environment. These practices not only help company’s keep safe but also improves productivity during the time of crisis. Nothing is full-proof but organizations definitely can reduce the probability of being compromised and vulnerability. Logix Infosecurity provides state-of-the-art technology support to keep companies’ network safe. Our analyst will provide the best solutions and keep the services up and running! Current Cyber-heist- Not just personal or corporate!